Camden People - John Gaffney Jr.
JOHN FRANCIS GAFFNEY JR. was born in Camden, New Jersey on March 29, 1941 to John F. Gaffney Sr. and his wife Dorothy. 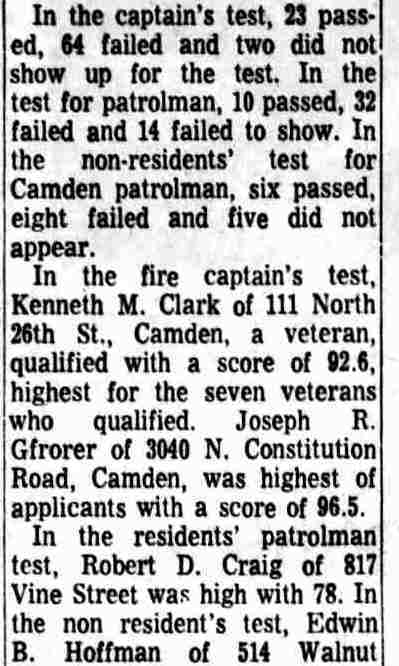 John F. Gaffney Sr. was appointed to the Camden Fire Department on October 1, 1943. When the 1947 City Directory was compiled the Gaffney family lived at 2708 Concord Avenue in Cramer Hill. 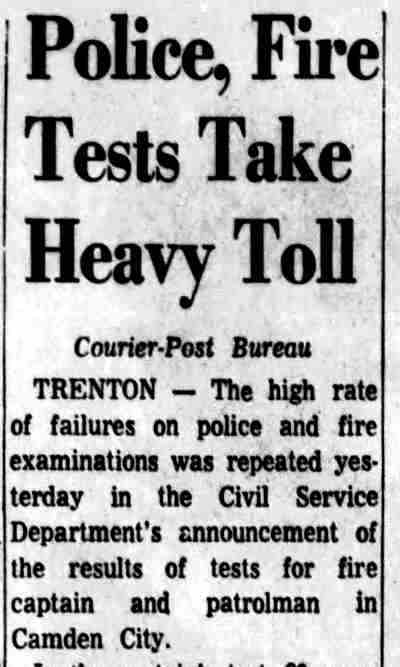 By 1956 the family had moved to 78 South Dudley Street in East Camden, where they remained through at least the fall of 1970. 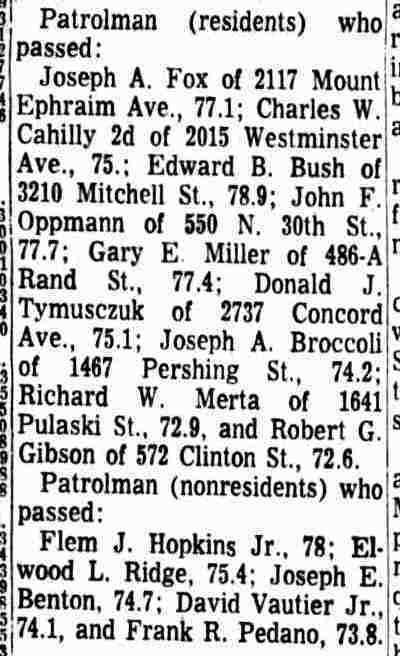 On February 24, 1964 John Gaffney Jr. joined his father as a member of the Camden Fire Department. 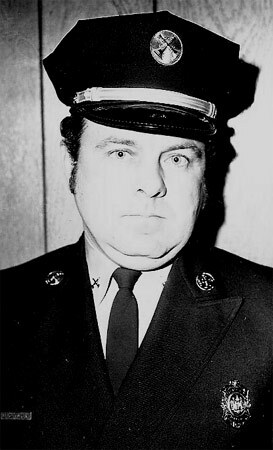 On December 31, 1969 John F. Gaffney Jr. was promoted to Captain. His father was still working as a firefighter as late as October of 1970. John F. Gaffney Sr. died on May 26, 1976. 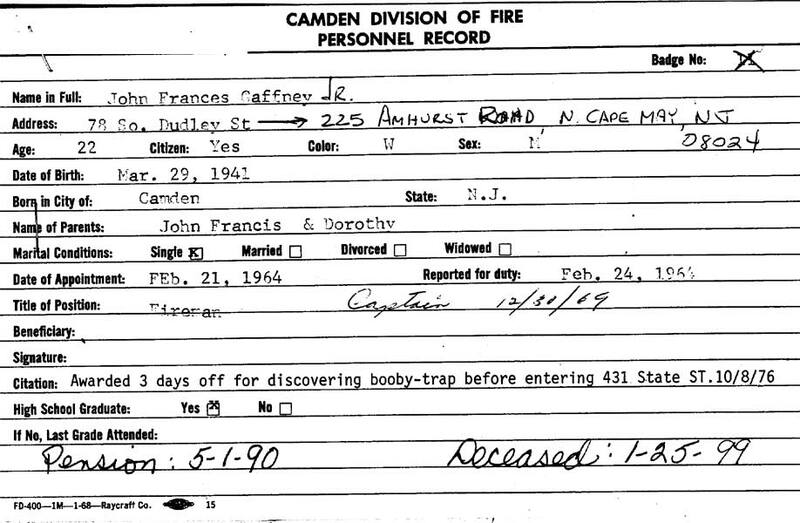 On October 10, 1976 Captain Gaffney was cited by the Camden Fire Department for discovering a booby-trap before entering a building at 431 State Street in North Camden. 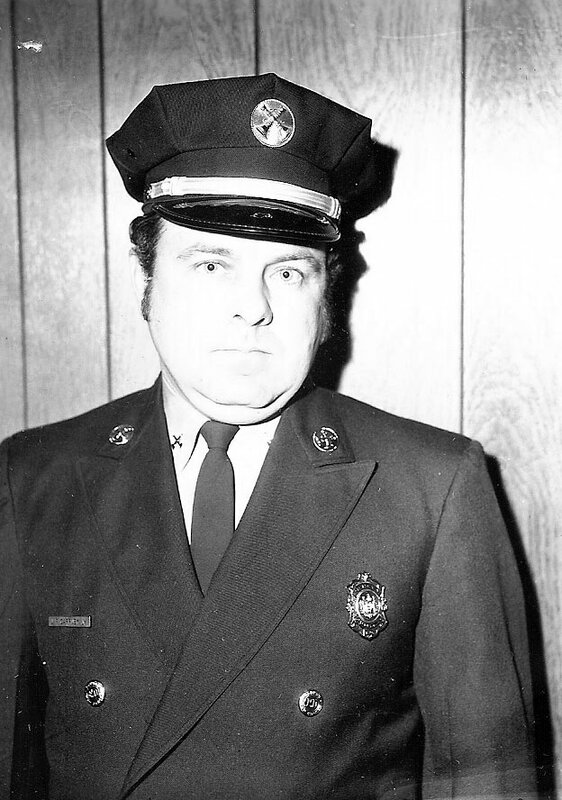 John F. Gaffney Jr. retired from the Camden Fire Department on May 1, 1990. 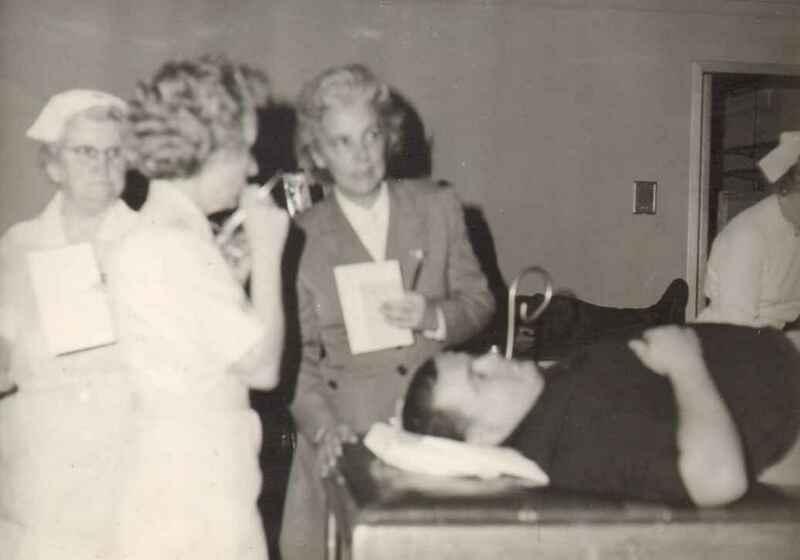 His last years were spent as a resident of North Cape May, New Jersey. John F. Gaffney Jr. passed away on January 25, 1999. 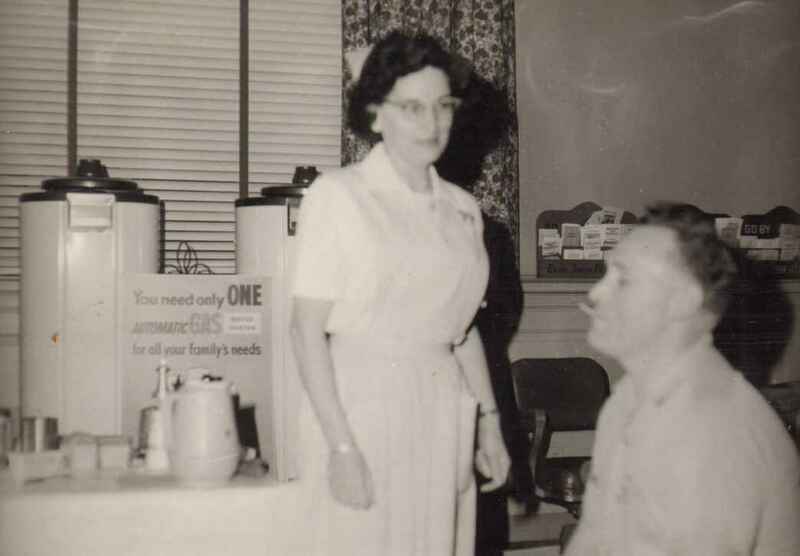 Thanks to Captain Gaffney's brother, Joseph K. Gaffney, for his help in creating this page.